So, I woke up with the alarm and simply felt excited about getting up and starting my day! But why? 2. I only slept for only 4 hours, from 8am to 12noon, which allowed me to have quality sleep but didn’t get me groggy in the morning after 8 or 9 hours which is what I usually do. 3. I actually allowed myself to be. I allowed myself to be me. I allowed myself to shine my gift into the world. So, let's expand a little bit on the 3rd theory since it is likely this one the reason why I am actually sitting here and writing right now! Well, nonetheless, despite the fact that this is the real reason I got out of bed or not, this is a miracle! I am actually here writing my blog!? 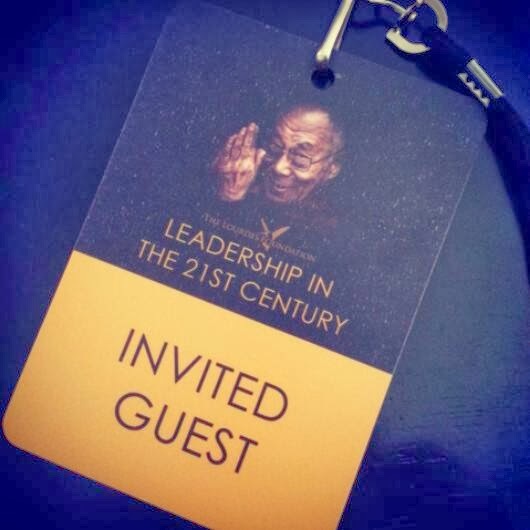 After what, over 4 years since my last post about my Lunch with the Dalai Lama. Now the question is, how did this happen? !